Cate: Please welcome Rachel Brimble. Rachel, will you please share a short bio with us? Rachel: I am married with two daughters and live in the UK, very near the famous Georgian town of Bath. I started writing toward publication when I became pregnant with my second daughter, eight years ago. My journey started with short stories and articles before moving on to novels in 2006. When I’m not writing I enjoy reading (everything from the back of cereal boxes to huge biographies according to my husband! ), watching TV and spending time walking and talking with my family and our beloved black Labrador, Max. 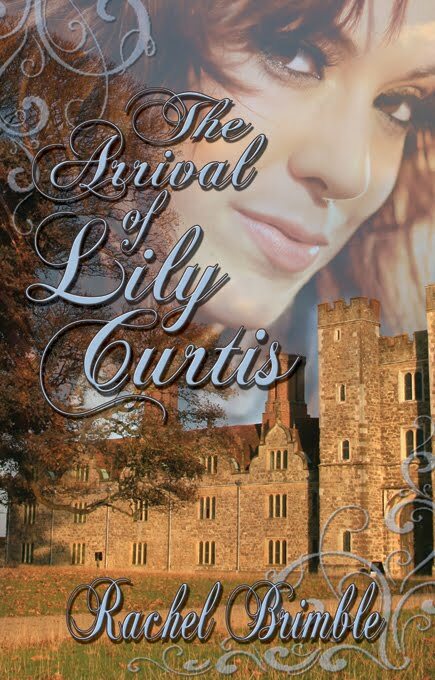 Rachel: My latest release is called ‘The Arrival of Lily Curtis’ and it is published by The Wild Rose Press. It is available directly from their website at www.thewildrosepress.com or www.amazon.com. Cate: Love the title - and the cover's wonderful too. Please tantalize us with a story blurb or excerpt. The clock ticked like a heartbeat behind him, the fire crackled and spat. Andrew unconsciously held his breath waiting to see what this unpredictable woman would do next. One minute she seemed so full of grace and intellect, the next full of fire and resentment. The two distinctions in her personality shouldn’t have fit but they did— inexplicitly so. “Well, what do you say?” he pressed. She dropped her gaze and curtsied, throwing him off-guard once again. He felt his jaw tighten as he looked at her bowed head. Andrew felt the burst of laughter bubbling beneath his diaphragm and could do nothing to stop it erupting. It burst from his mouth and reverberated around the room. Uneasy laughter rippled around the table, joining him in his amusement. He ignored them, not caring about anything else but this enigma in front of him. His friends clearly laughed because of who he was rather than their shared delight, Lily on the other hand didn’t seem to care who he was and would say just what she pleased. Andrew tried and failed to wipe the smile from his face as Lily threw him a look of satisfaction before obediently following Nicholas from the room. He picked up his glass and took a long mouthful. Lily Curtis may be just what Cotswold Manor needed right now. Cate: Ooh, I love a naughty sense of humor. :) Tease us with one little thing about your fictional world that makes it different from others. Rachel: It’s different because it’s Victorian, it’s different because my hero and heroine are different kinds of people living in a time when everything had its place. The are both rebels of opposite kinds – she doesn’t want to be dragged into an arranged marriage, he wants to run his aristocratic home in an alternative way. Together, they would be fantastic, innovative and exciting…if only they could see it that way, of course! Rachel: I’ve wanted to write since I was a child but life took over and I never put pen to paper until I was at home with my eldest daughter. I enrolled in a distance learning course and that was it, I haven’t stopped writing since. And now I couldn’t stop if even I wanted to! My need to write is a compulsion and I truly believe I will never stop now – EVER! Rachel: I recently started working part-time so my writing routine is no more! I fit it in around work, the house, the kids and everything else that happens during the day. My output is definitely less than it used to be but I have found that even if I make sure I do at least 500 words a day, they soon add up. Cate: Exactly - whatever works. :) Where can readers find you on the web? Rachel: Yes!! Especially the ones who have read my books! I am struggling to decide what to write next…please, please, please will anyone tell me their favourite book of mine?? 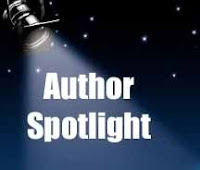 I’d love to get an idea of what my readers enjoy the most, that way, that will make the decision of what I write next! Cate: Very interesting! 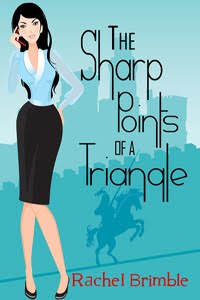 Readers, Rachel is also giving away a book to a random commenter... so start commenting, and be sure to let her know what you'd like her to write next! She'll pick a winner on August 23rd. mmm I quite like the sound of the Viscount. Good luck with your books rachel. I am so happy to be here again, visiting with Cate (one of my very favourite authors! )and her deluge of followers! Please feel free to comment and ask me questions, I plan to stop by sporadically all day (bearing in mind I am in the UK and so I may go to bed before you guys! ), so I'd love to chat! Great to have you back, Rachel! Your new release looks wonderful. I should have asked you - what inspired you to write a historical? The inspiration for 'Lily' came from a visit to a stately home near to where I live. The house has become the idyllic, romantic setting for a hotel and equestrian center now but as soon as I stepped inside it, i knew it was my hero's home. The next thing was to come up with my hero, LOL! A few weeks later, Viscount Westrop started talking to me and I already knew his perfect partner. Lily had been bouncing around in my head as a contemporary heroine but I just couldn't figure out what her story was. Then I realised she was Victorian and the plotting started in earnest! Your book does look like a very good read!! I love historicals!! I started reading them many years ago. Victorian is one of my favorite eras also. I have not read any of your books, but I plan on picking up Lily. What genre have you not written but secretly might like to try ?? I love your writing voice. Viscount Westrop and Lily fairly leapt off the screen. It is on my tbr pile. Thank you so much for kind commemnts! Great interview. Ooh the viscount sounds gorgeous. I also love Victorian era stories. Best of luck with all your ventures. I loved Bath when I visited there. You are lucky to live in such a wonderful area. Nice to 'see' you here, Margaret and Maeve! I'm glad you find the premise of Lily interesting and share my love of the Victorian era. I really hope you get a chance to read Lily and enjoy it as much as I did writing it. Hi Cate, Rachel and everyone else, too! Have a great day and thanks for sharing, ladies! Dark and brooding with a wicked sense of humor - just the kind of guy I like. Congratulations and good luck. A marvellous hero - dark and brooding but with a wicked sense of humour. Wishing you and Lily Curtis the best of luck, Rachel. Lovely to see you here Joanna, PL & Leigh! I've got to admit the Viscount is the favorite of my heroes so far! He is just plain delicious...dark, brooding, yet funny and a little bit soft of the inside, yum! You're right, Joanna, fitting in writing about the rest of life often gets me some sulky looks around the house but I am getting better and better at being selfish, LOL! Your names are in the pot,ladies! Todsy is the day to announce the winner of a pdf copy of The Arrival of Lily Curtis!! And that winner is.....Sherry Gloag!!! Congrats, Sherry, I will contact you by email.